Digital transformation is the top priority for the vast majority of manufacturers, retailers, health care companies, banks—pretty much every industry. Although transformation may be progressing at different speeds in different industries, it is progressing in all of them. Indeed, companies recognize that enterprise-wide digitization and associated transformation are not just important but critical to their survival. In a recent IDC survey conducted for Infor, a global provider of industry-driven, cloud-based software solutions, 73% of respondent companies believe they will either be out of business or marginalized if they don’t transform. 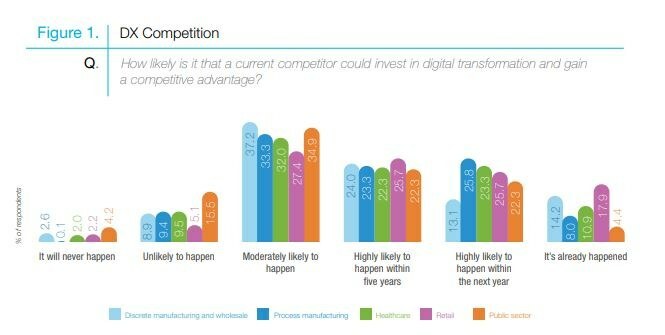 Over two-thirds of them expect a digitally enabled competitor to gain a competitive advantage within the next 5 years. Over 20% said it is highly likely to happen in the next 12 months. IDC defines digital transformation as transforming decision making with technology and using new sources of innovation and creativity to enhance experiences and improve financial performance. Perhaps the thing to remember about digital transformation is that technology is simply an enabler; in other words, digital transformation isn’t a technology initiative—it’s a business strategy. Further, it is a journey that must be optimized for both the near and long term. Although disruption is a big part of what drives digital transformation in the long term—where 31% from the aforementioned survey said it was critical to business success—the short term is more about efficiency and effectiveness, with 37% reporting it as the top driver for transformation. Digital transformation is not a trivial undertaking. It requires organizations to fundamentally rethink how they create new customer experiences, what kind of operating model is needed to deliver those experiences, and how information is used to facilitate the speed, scale, and resiliency demanded by the digital economy. And it won’t all happen tomorrow. As we note, it is a journey, one best started right away, but equally one that will have stops and starts, with capabilities that seem critical today surrendering to new ways of working and new ways of conducting business that become apparent as digital technologies mature in the marketplace. Success will start with strong executive leadership. IDC research shows that companies with a clear strategy (over 35%) and strong leadership (34%) will be in a better position to be successful since it will be led from the top down. Challenges organizations reported struggling with include existing business models getting in the way (32%), persistent culture (29%), and outdated organizational structures (27%). Further, cross-functional engagement is critical with almost half of all organizations feeling that success is best led by both IT and the line-of-business. Finally, how individuals are recruited, trained, retained, and managed will fundamentally change. Organizations expect their workforces to be affected by technology replacing labor and increased productivity with an emphasis on more strategic and less transactional work. This has implications on how the workforce is organized, recruited, trained, and managed, with almost three-quarters of companies planning to invest in retraining their existing workforce. All this change is occurring at an unprecedented scope, scale, and pace, with business models, management and organizational theory, and design being re-invented by new technological realities. Learning to learn at the enterprise level with and through strategic partnerships is how we see companies thriving through this period of change. Visit the Infor Viewpoints page “Designing Tomorrow” to download the IDC white paper and find other recommended reading for the digital enterprise. 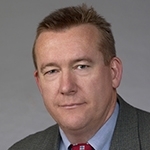 Simon Ellis leads the supply chain strategies practice area at IDC Manufacturing Insights, one of IDC’s industry business units that address the current market gap by providing fact-based research and analysis on best practices and the use of information technology to assist clients in improving their capabilities in key process areas.